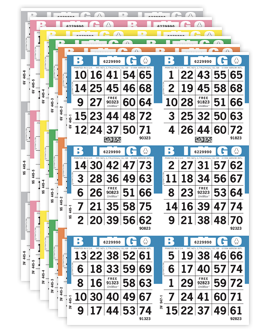 New Dabbin' Glow bingo ink markers, featuring super fluorescent ink, are available in 8 eye-catching colours to brighten up your bingo! 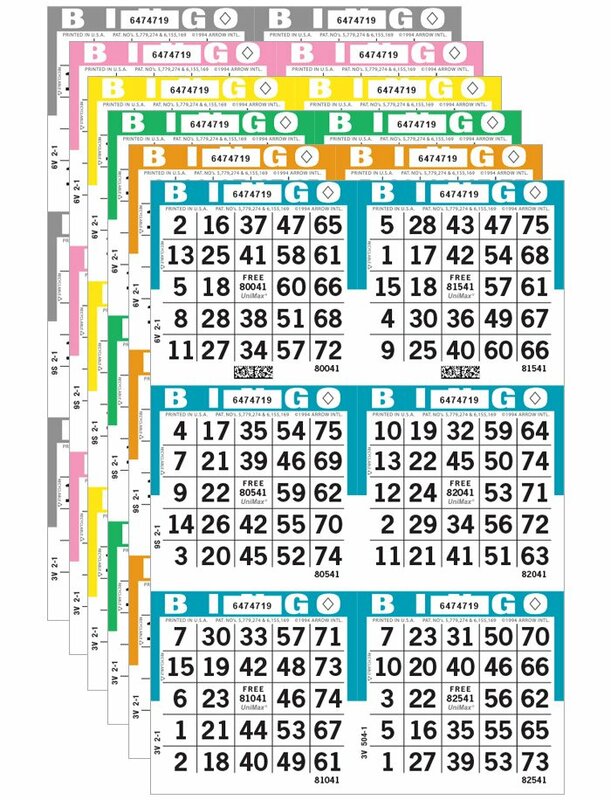 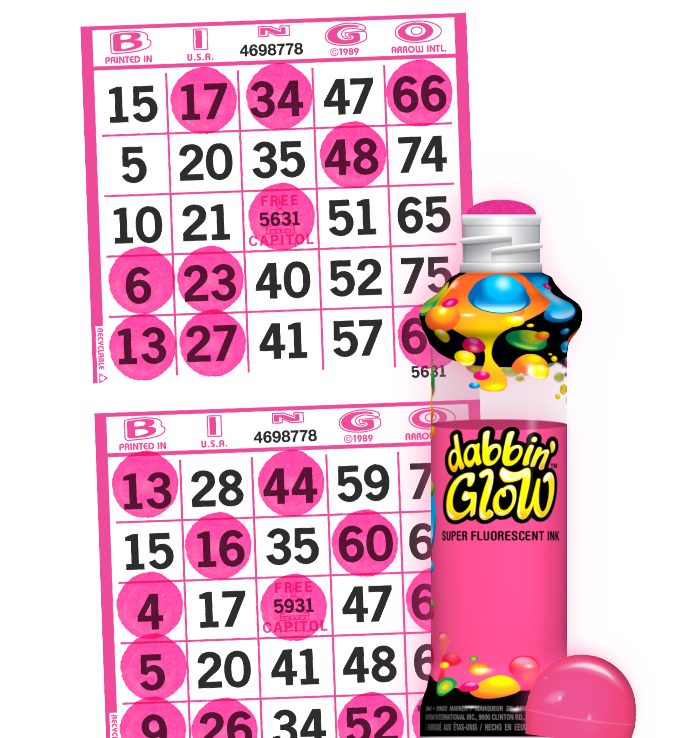 Brighten up your bingo with Arrow International's new Dabbin' Glow bingo ink. 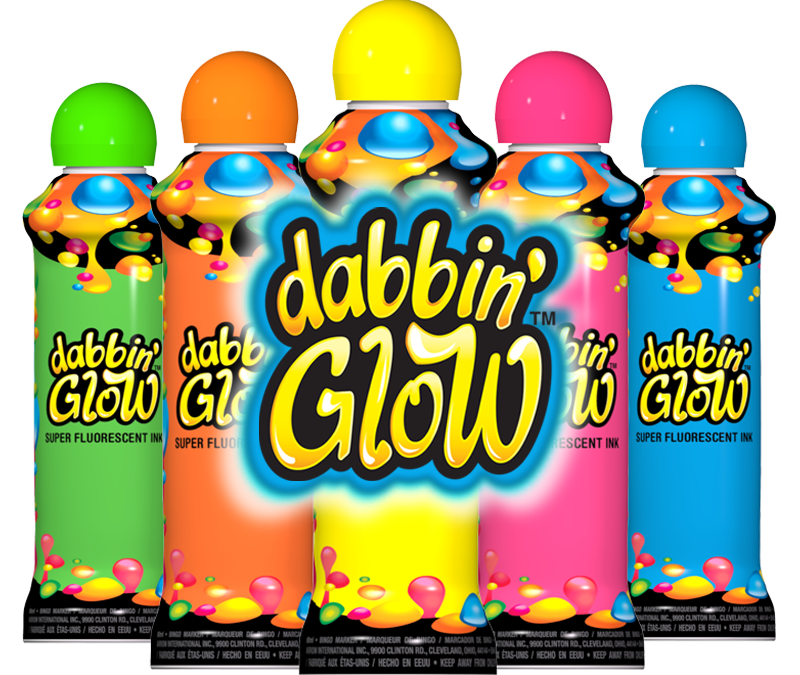 It features super fluorescent ink and a clear bottle and sleeve for maximum glow under blacklights; including the ball cap! 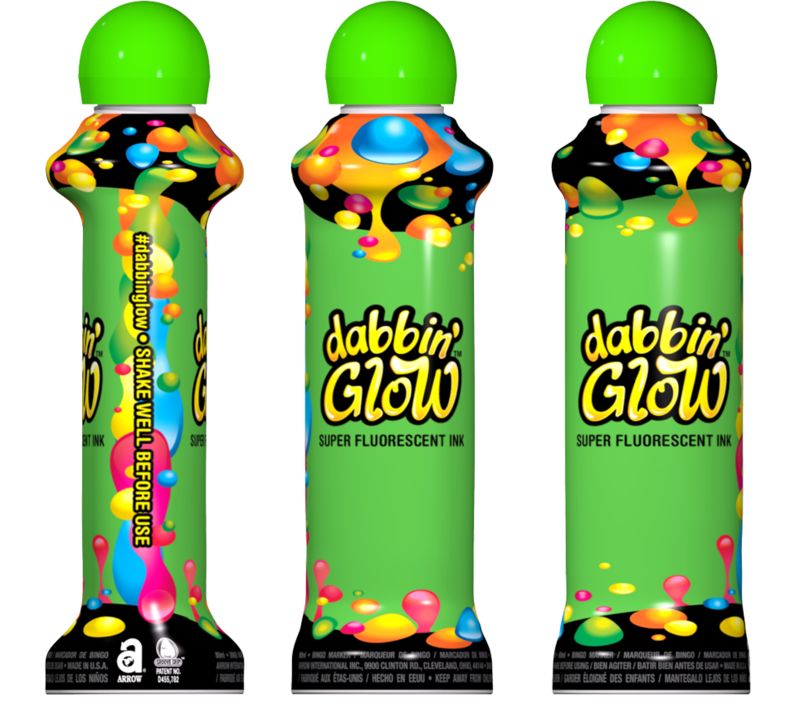 Players will love dabbing these super bright colours with or without blacklights. 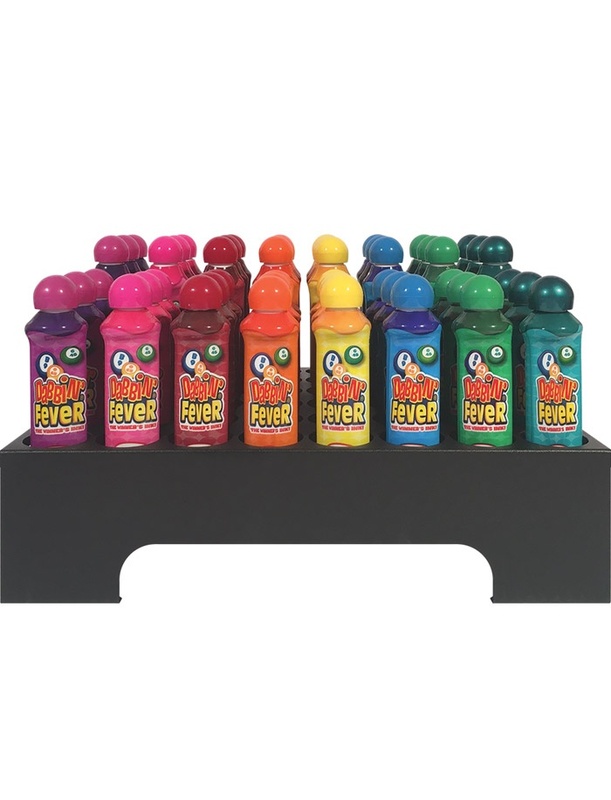 Available in 8 fluorescent colours.